Welcome to Android Central! That lockscreen doesn't have to be your default. 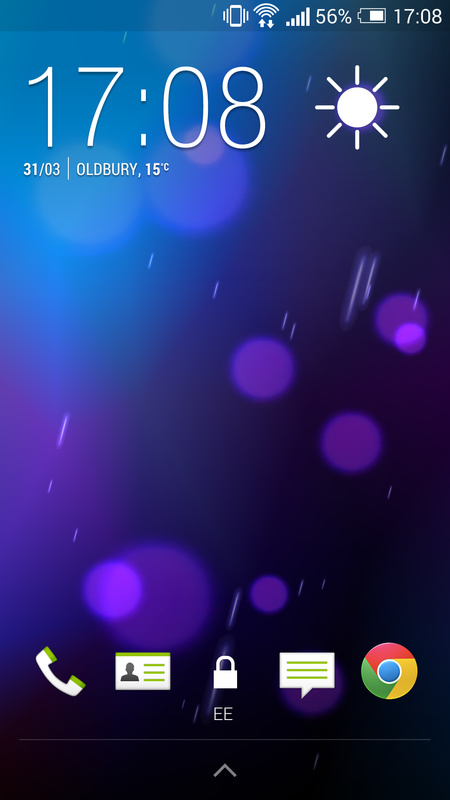 You can remove it by first swiping down to hide the pattern unlock dots, and then long-pressing the widget. It will give you the option of removing that widget. If that's the only lockscreen widget you have, it might not let you remove it, so first, you may have to add some other lockscreen widget, like DashClock. Then, go back to the lockscreen, and then long-press the one you want to remove. I use Chronus, very configurable and flexible. And it centers the clock. You don't have to use the weather, I also have a pull down agenda on the lock screen. Widget locker pretty much gives you full customization of your lock screen. I highly recommend it. Is Chronus usable on a non-rooted phone? 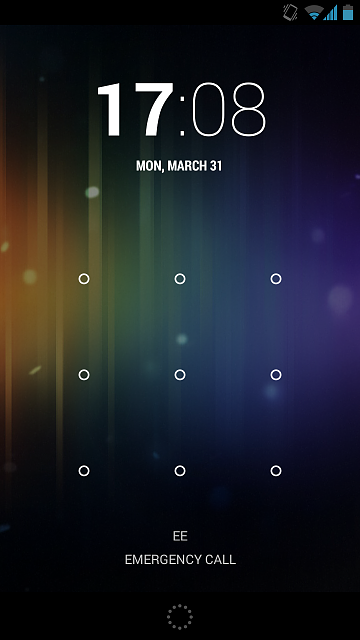 I've just installed it on my my non-rooted SGS3 but can't get it to change my lock screen. Yes, I am stock and locked. Go to the lock screen and slide left. Tap on the plus sign and a list of widgets will open. There are several for Chronus. I use the Flex one for clock, weather, battery and agenda. It's a great app. I also use the agenda on my homescreen. Hi & thanks got response. On trying this it does nothing & won't slide at all (left/right nor any other direction!). I went into Settings/Lock Screen/Lock Screen widgets to enable them, but it only referred to Clovk or Personal Message. But I think my Lockscreen widgets are enabled. Still not getting anywhere though. Is there anything else I should enable so as to use Chronus lockscreen widgets? What OS are you on? Jelly Bean? Can you swipe left just the clock itself? Not at the bottom. Tried but it doesn't move. That's odd. That's a feature on 4.3. I don't know what else to tell you. Do you have a screen like this under lock screen? Multiple widgets should be ticked for more screens on the lock screen. Where did you get your phone? Mine looks nothing like that. Oh dear! I linked a screenshot of mine earlier in this thread. I've had other problem with phone too, getting google error message. Maybe I should do Factory Reset. I've only had phone couple weeks & didn't wipe it when got it. Though it was new & unlocked so didn't see need. Did you try on your Nexus or your One? I don't know if the One has a different lockscreen setup than the Nexus, but on vanilla Android, you should be able to remove the default lockscreen clock widget. Again, if you only have that one lockscreen widget set up, you probably won't be able to remove it, because then you wouldn't have any lockscreens. That's why I suggested adding another lockscreen widget first, by swiping in from the left and tapping the big [+] to add another lockscreen widget (any one will do). Once you've added another widget, you should then be able to long press the default clock widget, then remove it. I'm on 4.4.2 but you should still have the multi widget option. I had that in 4.3. Where did you buy your phone and what carrier are you on? I bought it from a phone seller on eBay. I'm in uk & on 3 carrier currently. Hoping yo change to O2 in a few weeks. I'm hoping you didn't get a counterfeit Note 3. I'm thinking you have the International version, the N9000 or N9005. Can you use your S Pen without problems? I can screenshot my settings & resume tomorrow if that's ok, I'm just going to bed now. I just got back home from my holiday this evening, it's been a long day! Hi I'm all set to get this phone sorted!